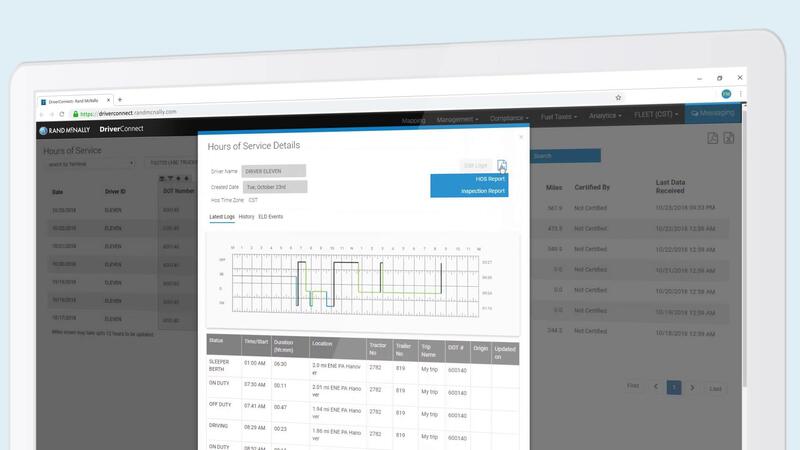 Electronic recording of Hours of Service logs not only helps eliminate reliance on manual logging, but also helps fleets streamline operations and avoid costly CSA violations. 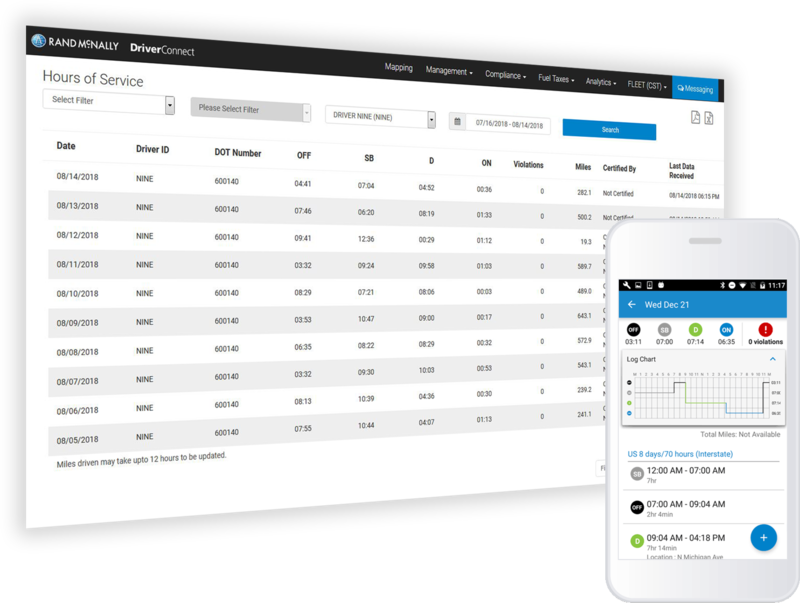 With the app, driver status is tracked to the minute for more accurate reporting. Drivers and carriers can help ensure Hours of Service (HOS) compliance by receiving automatic alerts 1 hour, 30 minutes, and 15 minutes before hours reach limits. With the federal mandate requiring all drivers to go paperless, they will need to show electronic logs to law enforcement during roadside inspections. From the app, drivers can use Inspection mode to present logs during the inspection and email an ELD event output file. 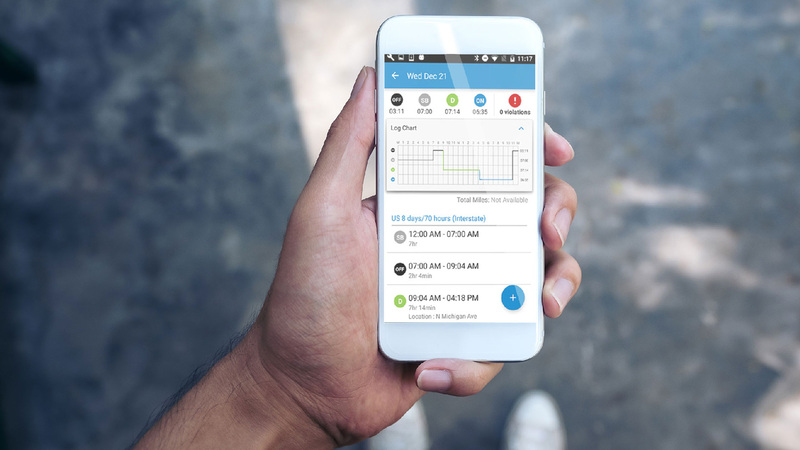 The DriverConnect app's simple interface means that training time for your drivers is low and that you can get them out on the road faster. Fleet managers can log into the Rand McNally DriverConnect portal to view a snapshot of each driver including name, date of record, HOS graph, individual HOS entries, and any violations.